After welcoming a new baby, it’s taken awhile to have enough time to sit down, sew and blog about it! I have about 10-15 projects on the go right now, but none are all that close to completion. I do have quick project to share: ankle bands to keep baby feet in the legs of their sleepers. 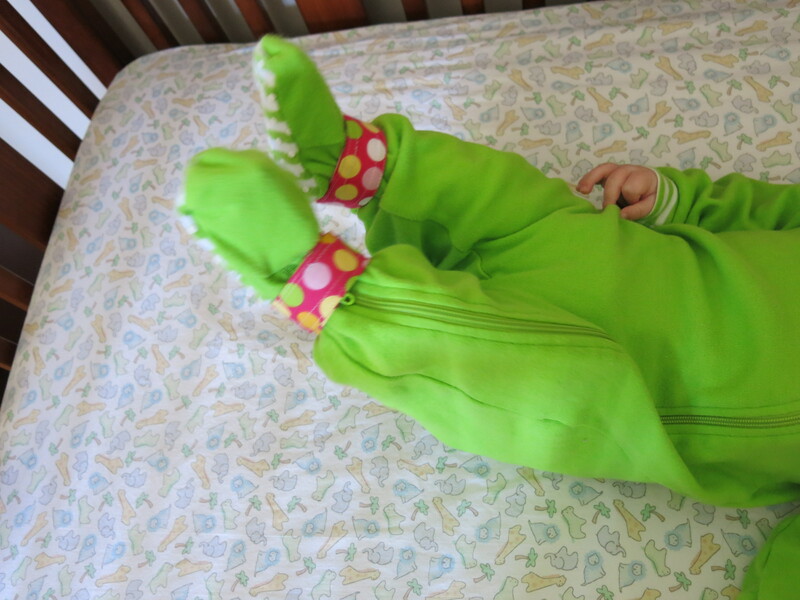 Little Lizzie kicks a lot and her feet have a tendency to find their way into the body of her sleepers. She gets very frustrated when the movement of her legs is restricted, so I come up with a solution to this problem! 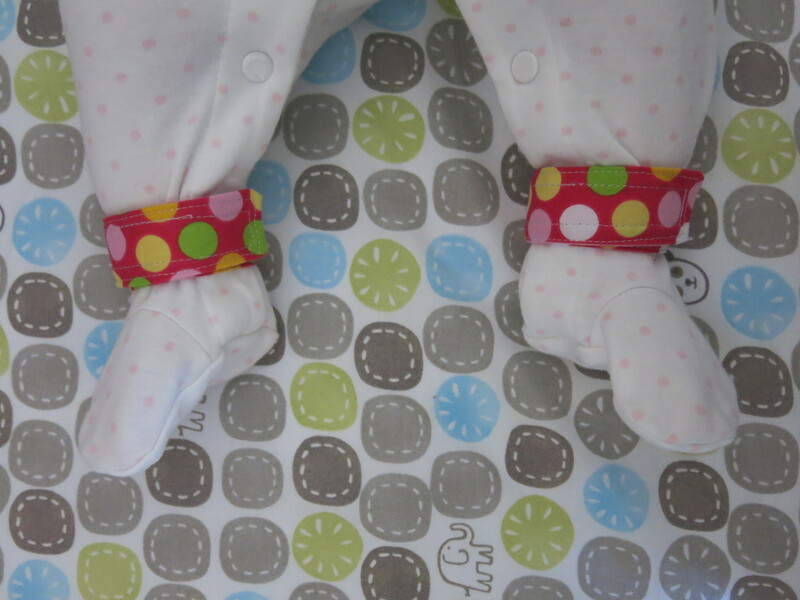 I used coordinating strips of fabric and a bit of velcro to make these little bands to keep her feet happy. She likes to raise her feet in the air, which is great to show off her ankle bands! 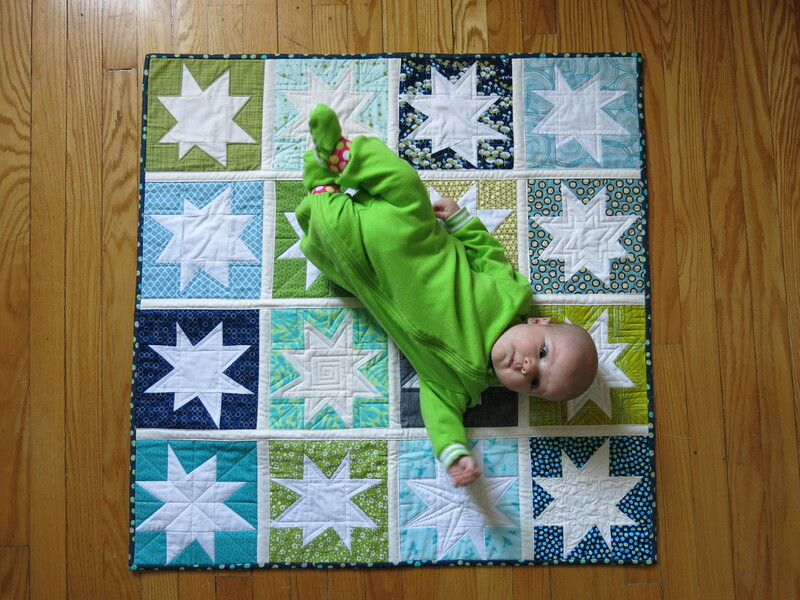 She also likes to spend time on the floor on her new quilt, a special gift from the Toronto Modern Quilt Guild.